There isn't much online, what I know I've gleaned over the years, I met Ken a few times (with my brother) and know the family. The frame is almost certainly 531, and could be 531SL. Without actually seeing it I couldn't tell you much more. It has a BBC frame number I assume - not all have ? TT Legend Mick Ballard rode his frames as did Derek Cottington & the King Alf road Alec Bird Frames before switching to Shorter.. 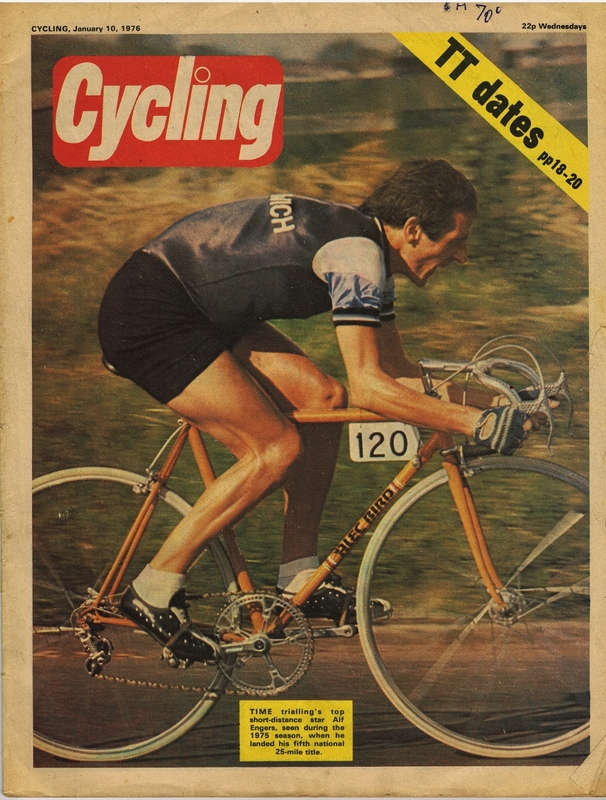 I've seen Mick in action, he also rode Geoffrey Butler frames. N.B Alec didn't build all Ken's frames. 531 SL was what I thought it could be - I’d expect a typical decent double butted 531 frame in this size to be 1800-1900g. My 531 plain gauge Claud Butler is considerably heavier. It does have a number, yes - BBC 9. Ken had some sway with Reynolds so they may have supplied some specials to Alec (when Ken and Alec were still talking !!!) although others that built Birds would have had good relationships with Reynolds. I've never seen a Bird frame with an 531SL decal. Interesting, the plot thickens! I plan to get it resprayed anyway and won’t put a tubing transfer on until then. Many builders didn't put tubing transfers on unless requested by the customer (particularly in the old days). After all can you imagine a class builder using anything other than a Reynolds double butted tubeset - Hetchins for example didn't fit tubeset decals, and when requested it went on the back of the tube. When I bought my SBDU frame from Ilkeston I had the tubing decal on the front of the seat tube just above the BB...just some thoughts. What colour are you painting it ? Hmm, good point... to be fair, it used to have a non-original Columbus decal stuck on, which I removed. Maybe it never had a decal then. In which case, I won’t add one. Great shot of The King! Loving the drilled handle bars too. So I’ve found a small imperfection - presumably some idiot was running an undersized seatpost in it previously. Hopefully it won’t get any worse. Also, stage one of cleaning up from that horrid chainstay protector. Got some enamel on the way which I’ll patch it up with.